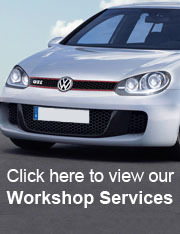 C&R are the Nottingham based Volkswagen, Audi, Seat and Skoda specialists. Established in 1988 by Steve Cresswell and John Russell, they are now considered to be one of the foremost names in the UK for VW, Audi, Seat and Skoda. When Steve is not managing the busy workshops he some how finds the time to be technical guru to Golf + magazine and offers advice as "Crasher" through daily posts on the VW Audi forum. 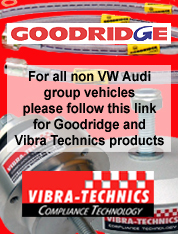 C&R sell an extensive range of replacement and high performance parts for Volkswagen, Audi, Seat and Skoda. Browse the categories on the left to select type of part you require. If you have any questions about the products or services on offer then don't hesitate to send a message or give John or Roy a call on 0115 9785740. C&R offer a fitting service on most of the parts they sell in their workshops. Visit our workshop section for full details of all C&R services.